What is PEMF Therapy and how does it work? Science teaches us that everything is energy. Energy is always dynamic and, therefore, has a frequency; it changes by the second or minute. All energy is electromagnetic in nature. All atoms, chemicals and cells produce electromagnetic fields (EMFs). 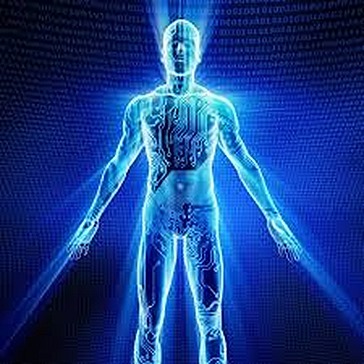 Every organ in the body produces its own signature bioelectromagnetic field. Science has proven that our bodies actually project their own magnetic fields and that all 70 trillion cells in the body communicate via electromagnetic frequencies. Nothing happens in the body without an electromagnetic exchange. When the electromagnetic activity of the body ceases, life ceases. Physics, that is, electromagnetic energy, controls chemistry. This in turn control tissue function. Disruption of electromagnetic energy in cells causes impaired cell metabolism, whatever the initial cause. This happens anywhere in the disease process. PEMF Therapy addresses impaired chemistry and thus the function of cells – which in turn, improves health. PEMF Therapy delivers beneficial, health-enhancing EMFs and frequencies to the cells. Low frequency PEMF Therapy of even the weakest strengths pass right through the body, penetrating every cell, tissue, organ and even without being absorbed or altered! As it passes through, they stimulate most of the electrical and chemical processes in the tissues. Therapeutic PEMF Therapy is specifically designed to positively support cellular energy, resulting in better cellular health and function.